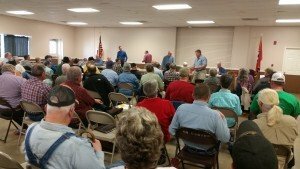 Hive Grant: Upon meeting the eligibility requirements, which will be set forth each year the grant is available, Tennessee Beekeepers Association local associations can participate in the hive grant program. Short Course Grant: Local associations are eligible for $300.00 grant to help offset their short courses. Local associations must make a request for the grant by forwarding verification of having the short course. Verification can be a list of attendees, a newspaper clipping, or flier. Request should be sent to the treasurer (Petra Mitchell) with a deadline for the request of April 30, 2019. Educational Material Grant: $100.00 for purchase of educational materials. Must send receipt to treasurer for reimbursement. Deadline April 30, 2019. Associations participating in all three grants can see a benefit of $670.00 from their affiliation with TBA.